My two girls are so obsessed with post it notes that my husband added a lock to his office door just to keep them out of his stash. I am not even kidding a little bit. 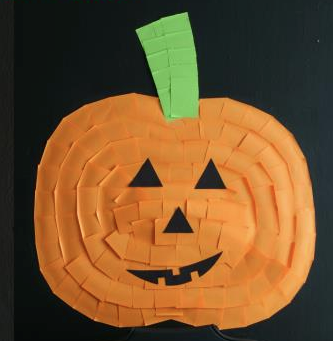 So it is without any hesitation that I say my daughters would love to create this post it note pumpkin on their bedroom wall, or any wall for that matter. You can check out the post it note pumpkin and more fun Halloween ideas over at Holiday with Matthew Mead.